Preston displayed at Wyndham on 31 May 2005. The cab roof was presumably made of wood and has succumbed to the elements. 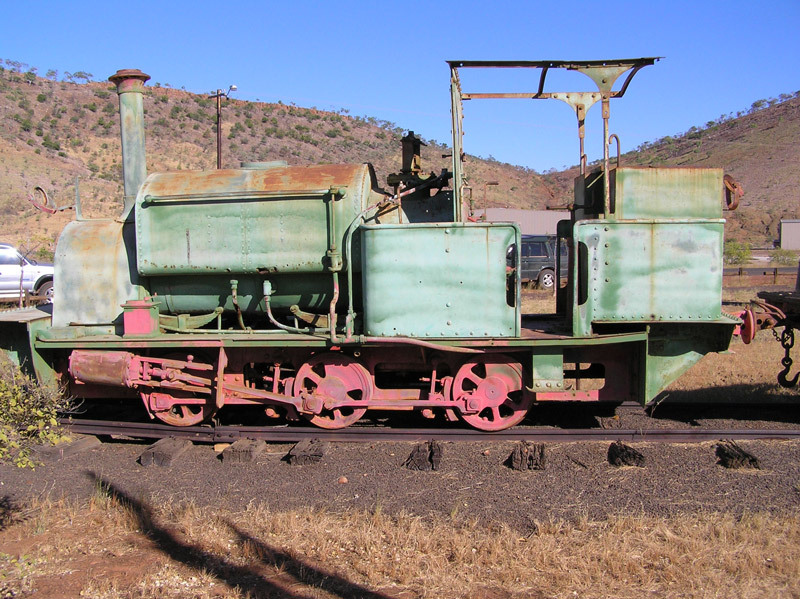 This locomotive was one of 4 Hudswell Clarke locomotives (Builder's Numbers 377 - 380) ordered by Edward Keane, railway construction contractor, for use building the Midland Railway in Western Australia. It was subsequently sold to G. Baxter for use at Baxter's Preston Timber Company, Donnybrook. Preston was later working for the WA Goldfields Firewood Supply Ltd. at Kurrawang. Preston was sold again in 1920, this time to the WA Government Meatworks for use at Wyndham where it worked until 1953. It passed into preservation in 1970 and is now displayed at Wyndham. 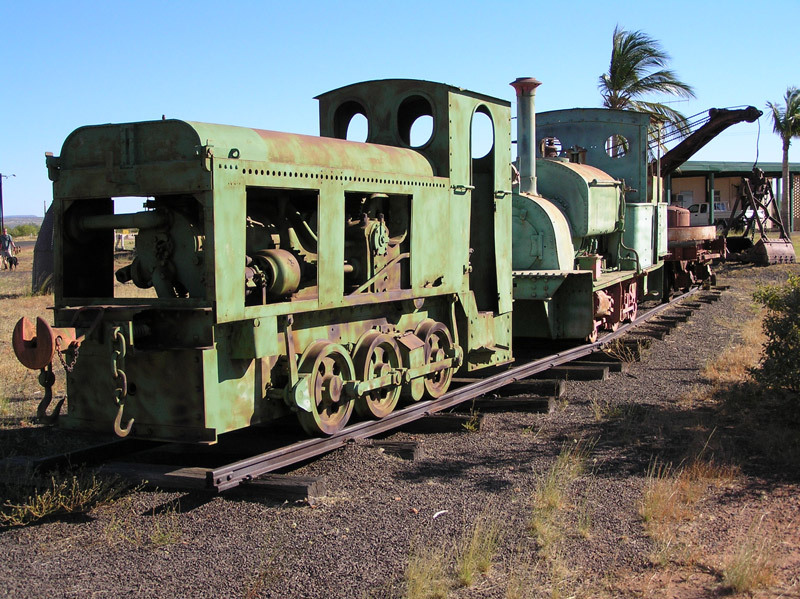 Here is keeps company with an historic diesel locomotive which had previously been at Kununurra. My thanks to Phil Cross for contributing the two views of Preston shown on this page, which are dated 31 May 2005. An early diesel keeps Preston company at Wyndham, as seen in this view of 31 May 2005.